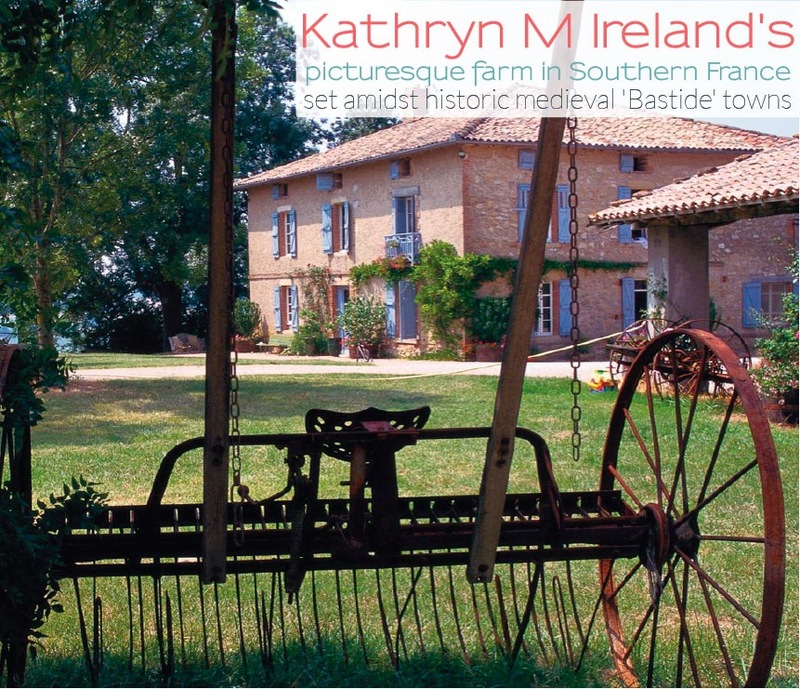 The charming Kathryn Ireland has allowed me to share these images of her amazing Farm in the South of France with you. 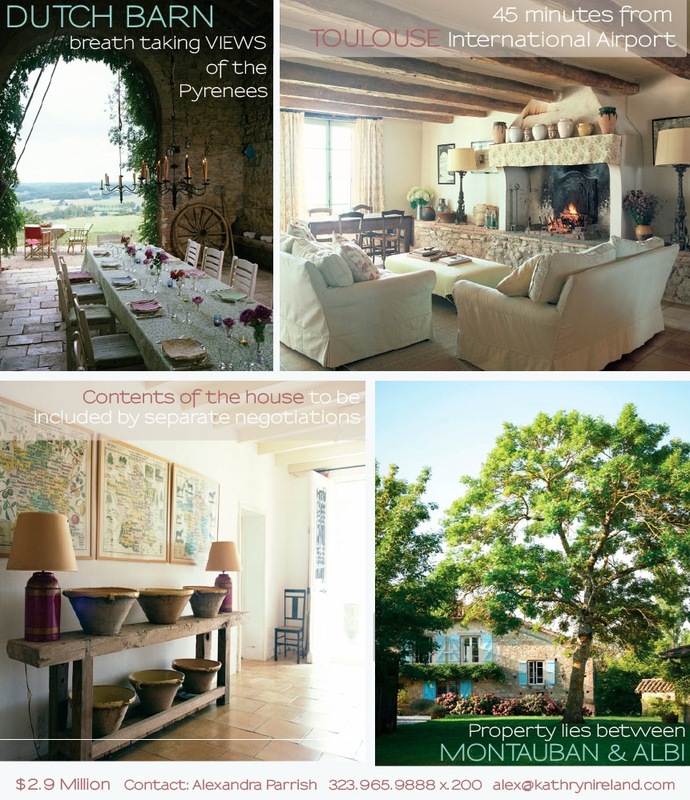 Kathryn is selling her beautifully restored summer-get-a-way house featured in her book Summers in France, and plans to purchase a home that she has admired for many years in Scotland where she grew up. Click on over and enjoy this lovely book and maybe you will be inspired to purchase the home … and remember to invite me as your first house guest! Lissy I love Kathryn Ireland her decorating and books. So charming! Hope she puts out a book when she buys her new place in Scotland. Love those big bowls on the shelf in your pic’s. The dining porch and the raised bed garden is wonderful also! Cathy, I can’t wait for the book on her new Scottish home. Thanks! More info on this amazing home is available through Kathryn’s link to the real estate add. The book is a great source of info on the renovation and the surrounding area. 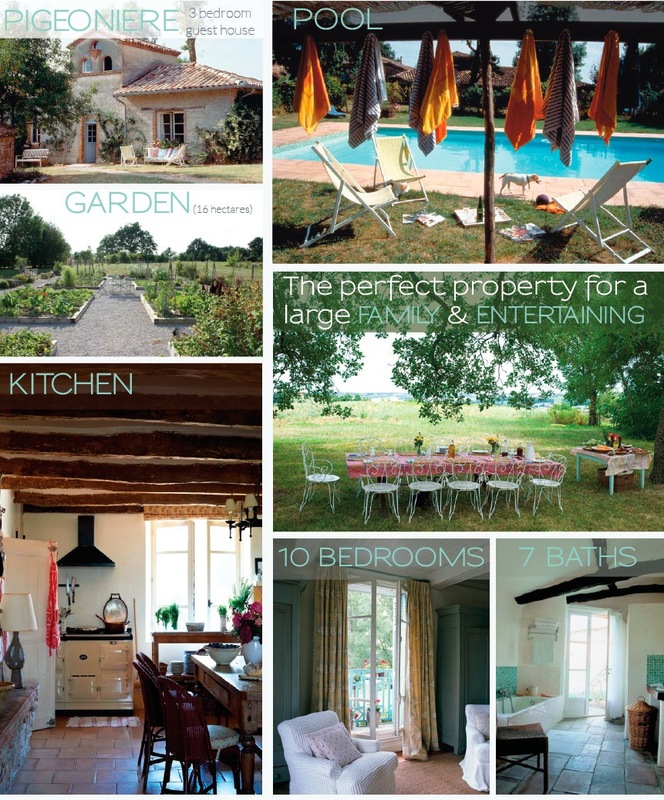 If you are looking for a home in France, this may be the one.